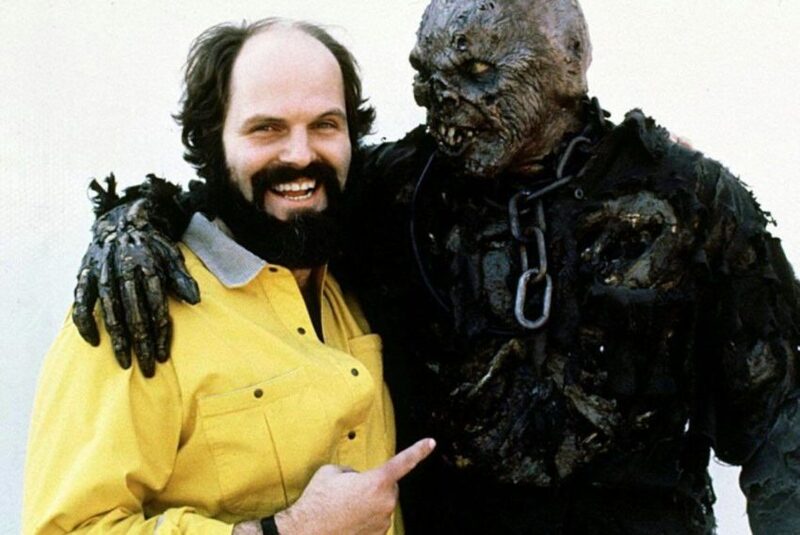 On Monday morning, March 18, 2019, the world lost one of the greatest and most underrated mind in the world of horror at the age of 66…John Carl Buechler. Now his name may not jump out at you like the bigger names of Horror…Wes Craven, John Carpenter, Stephen King, Rob Zombie, etc., but to me, he is just as important. He is a special effects master, great director and writer, too. I am a HUGE fan of the Friday the 13th franchise (you can hear me talk about it on Episode 3 of Jennifer Smith’s awesome podcast, Freak Out Drive-In), and a big part of my love for these films is because of John Carl Buechler. Mr. Buechler directed Friday the 13th Part 7: The New Blood. Now, I don’t exactly remember for sure if it was the first one I saw…but if it wasn’t, it’s definitely one of the first. One of the first ones I owned on VHS. Many people, many fans of the franchise are sour on the later films of the series. I’m the complete opposite as I found these films BECAUSE of the later movies. Part 7 is amazing. Horror fans would appreciate it more too if they were able to see exactly what work John put into it as far as makeup and effects go. A lot of the movie was brutally cut because of the MPAA, they were savage with how they treated the slasher horror movies of the 80’s and The New Blood was the biggest victim of their reign of terror. Look at what he gave to us…the studio wanted Jason vs. Carrie, and he gave us the best Jason vs. Carrie possible with Lar Park Lincoln’s Tina. He gave us some AMAZING kills. The axe to the head of Melissa, the weed walker took to the terrible Dr. Crews and of course…one of, if not the best kill in the entire franchise, the sleeping bag kill! He designed THE best looking Jason. The chain around the neck, the water damaged body. This Jason design was a thing of beauty. And perhaps his biggest contribution to the franchise…his pushing for the casting of Kane Hodder as Jason Voorhees, the only man to go on to play Jason more than once in four straight films. Thank you for everything, Mr. Buechler. Thank you for making it feel alright for me to cheer on the bad guy. You will be missed. Rest In Power, John Carl Buechler.